Insider Inc. is looking for an audience analyst to help drive engagement and growth across Business Insider and INSIDER. We want someone who is a self-starter, insatiably curious, and focused on impact. We’re looking for someone as excited as we are to create new, more effective ways to inform and inspire billions of people around the world. This is a newsroom position on Insider's growth team, which is focused on building and retaining new audiences. In this role, you'd be sitting alongside top editors, helping them make more data-informed decisions when it comes to setting editorial strategy. Insider reaches 350 million readers worldwide every month. We are the second largest general news brand in the US and the largest business news brand in the world in terms of monthly audience. 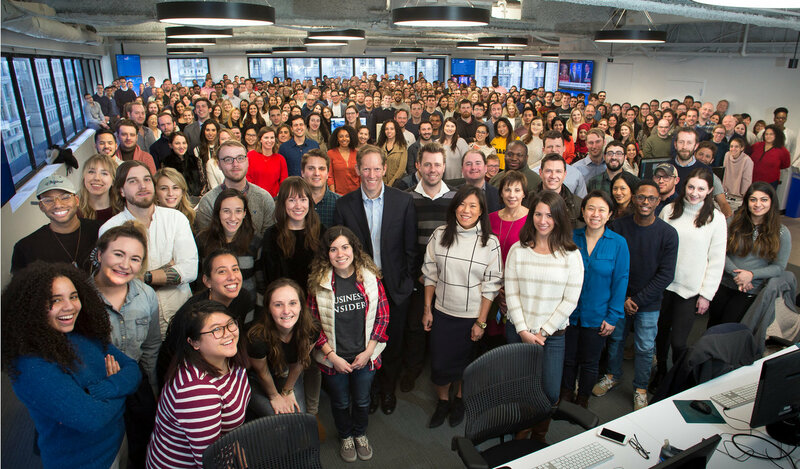 This is a great opportunity to build the future of journalism at a place that's rapidly become one of the largest media companies in the world. Experience working in a newsroom is a plus. This is a full-time role based out of our New York office. Insider Inc. offers competitive compensation packages, including benefits. If this sounds like your dream job, apply here with a resume and cover letter explaining why you want to be our news analyst.